I used to hate Mondays as it meant the weekend was over and it was back to work ... but for the last few months (because I've been working non-stop) I have been enjoying work and waiting for the weekends to be over so I can get stuck back in. I'm also taking the chance to catch up on my blog and my YouTube channel as I've been neglecting them the past couple of months what with work being so busy - which isn't a good excuse! 3. Payday is also one step closer - lots and lots of money! These are my five (probably boring and maybe un-important reasons why I love Mondays. 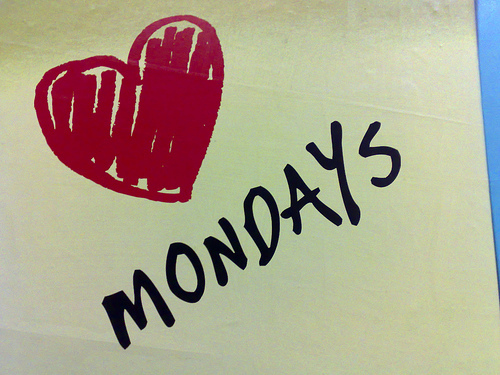 Let me know in the comments if you love Mondays - or hate them!